The enthusiasm for Road cycling competitions began at the end of the XIX century and has not stopped growing since. Some big races attract around tens of million spectators and are watched by TV viewers all over the world. The first race officially recorded dates back to 31 May 1868 at the ‘Parc de Saint-Cloud’, in Paris, and was won by the British rider, James Moore. The first city to city race took place on 7 November 1869: Paris-Rouen. James Moore, once again the winner, rode 123 kilometres in 10h. 25 min. The organisers’ intention was to promote cycling and to demonstrate that the bicycle enabled considerable distances to be covered. 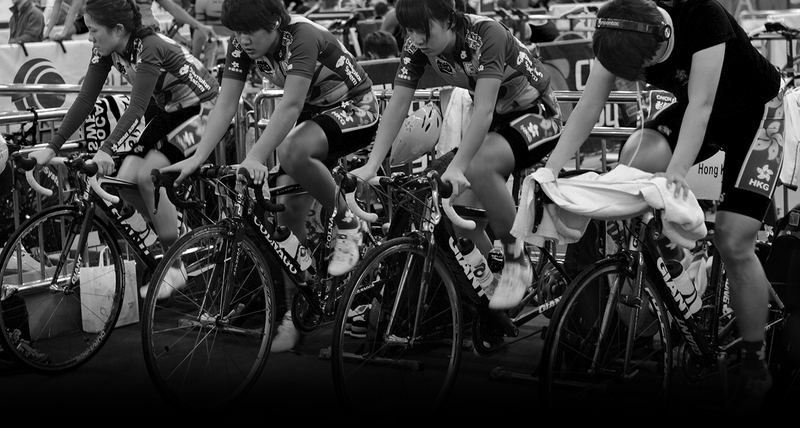 Road cycling has been part of the Olympic Games programme since its first edition in 1896. The riders start together in a bunch. The courses are of varying distances (approx. 260 km for Elite Men in the UCI World Championships). Road races have several different formats: oneday races from one point to another (eg Paris-Roubaix or Tour of Flanders) or on a circuit, such as the UCI World Championships or stage races (eg Tour de France, Giro d’Italia or Vuelta a España). The individual time trial is raced over 40-50 km (at the UCI World Championships and Olympic Games). The riders set off individually at regular intervals (1-2 minutes). The competitor completing the course in the fastest time is the winner. The principle is the same as for the individual time trial but this event is raced by teams of a minimum of 2 riders and a maximum of 10 riders. The team time trial will be on the programme at the UCI Road World Championships as from 2012, (5 to 6 riders per team). All the UCI Teams will be able to participate (UCI ProTeams, UCI Professional Continental Teams, UCI Continental Teams, UCI Women’s Teams).